The Goddess of Liberty, Sunniva, has long been regarded as a symbol of hope to oppressed people from allover the world. 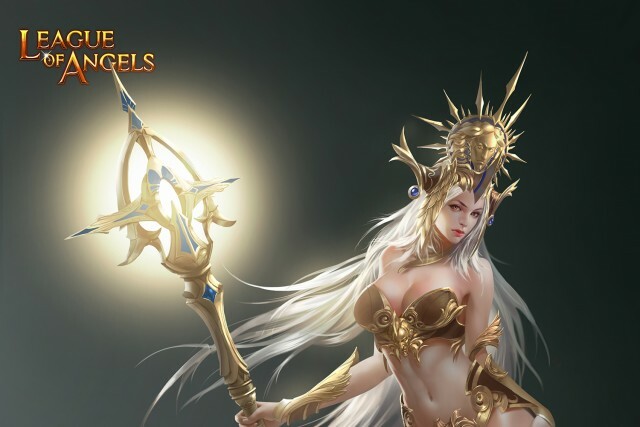 When the League of Angels was formed, she decided to not take part in the fight, fearing that nothing good would come out of too much meddling from Angels. But when evil swept through the land, people kept praying to Sunniva for help against the evil oppression they were experiencing. Not able to bear their cries any longer, Sunniva has descended onto our realm and sworn to protect humanity against the swarms of evil that have infested the land! Will she fight for your cause as well? Skill: Eclipsing Twilight-Deals (160% Basic ATK + 500) magic damage to all enemies, has 11% chance to decreaseall enemies' Agility by 11%.